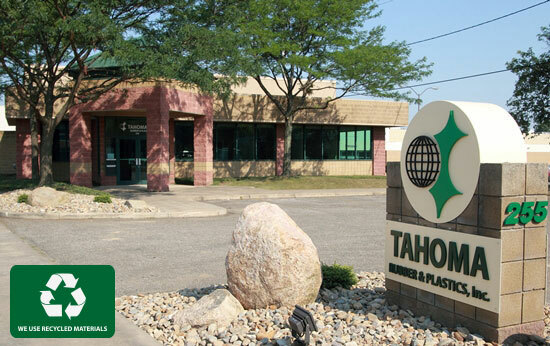 Tahoma serves the tire and rubber industry by recycling post-industrial, uncured rubber compound, fabric friction (fiber reinforced rubber compound), and scrap polyethylene film. Tahoma fills a valuable, environmentally beneficial service by recycling materials which might otherwise have to be landfilled. These products are used to produce high quality sheeted rubber compounds, friction bales, friction blanks, custom molded parts, and recycled polyethylene film. These products are all made in the USA.